On February 22, 1987, at 6:32 a.m. Andy Warhol died while recuperating from gall bladder surgery at New York Hospital. Just 58 years old, his death shocked the world, for he who was everywhere was suddenly gone. Warhol was the King of Pop Art, establishing himself as not only a leader in the visual arts but also a celebrity in his own right. 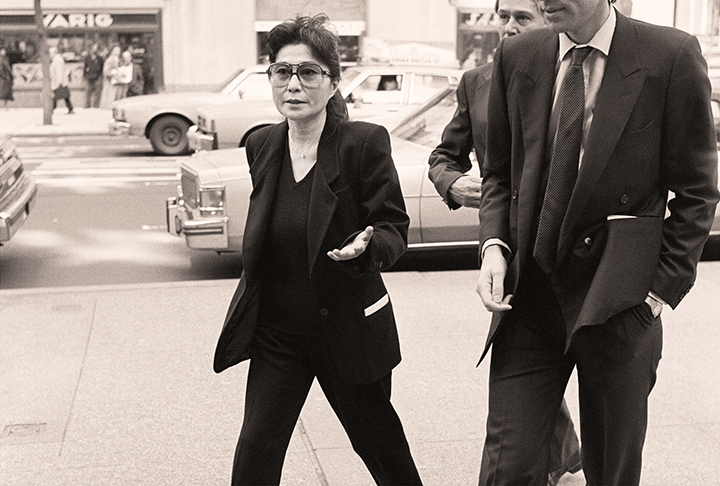 His studio, The Factory, brought together people from all walks of life, the high heeled and the low lifes alike. He managed The Velvet Underground, founded Interview magazine, made films, wrote books, and coined the phrase “15 minutes of fame,” which would go on to define American culture for decades to come. And though he was gone—but he would not (could not) be forgotten. He knew America better than America knew itself, and his memorial service, on April 1, 1987 at St. Patrick’s Cathedral was evidence of this. 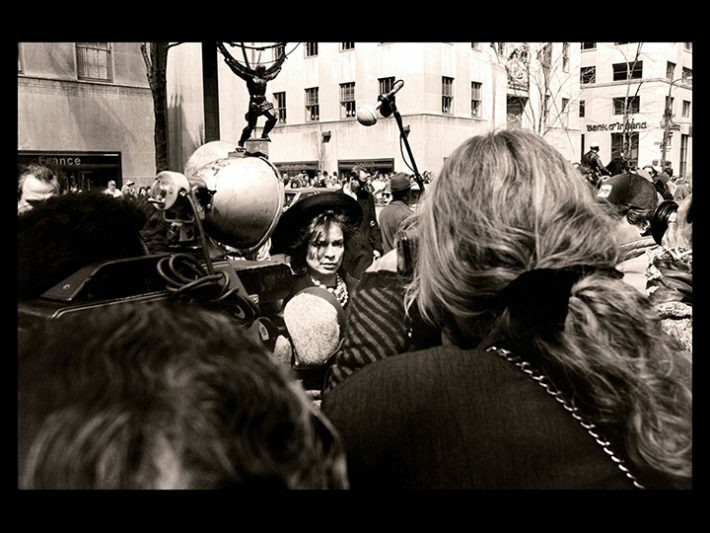 Two thousand guests made their way to Fifth Avenue and 50th Street to pay their respects to the man in the silver wig. Hundreds more gathered behind blue police barricades to watch the parade of bold face names make their way inside. 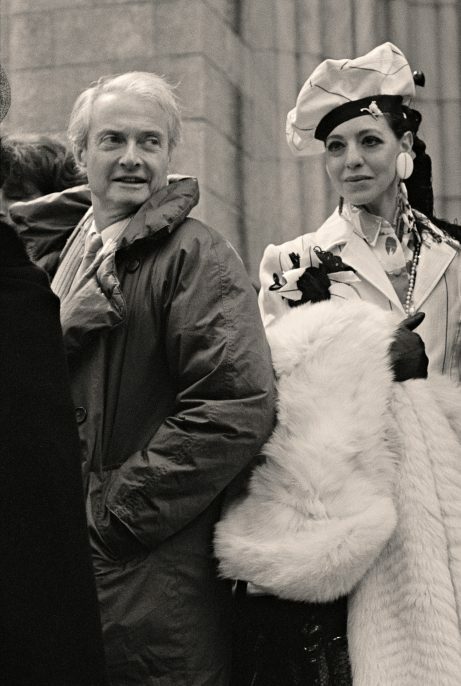 Photographer Christophe von Hohenberg was there, on assignment for Vanity Fair. Stationed at the front of the cathedral with his camera, von Hohenberg took more than 600 photographs of the arrivals as they made their way inside St. Patrick’s massive doors. 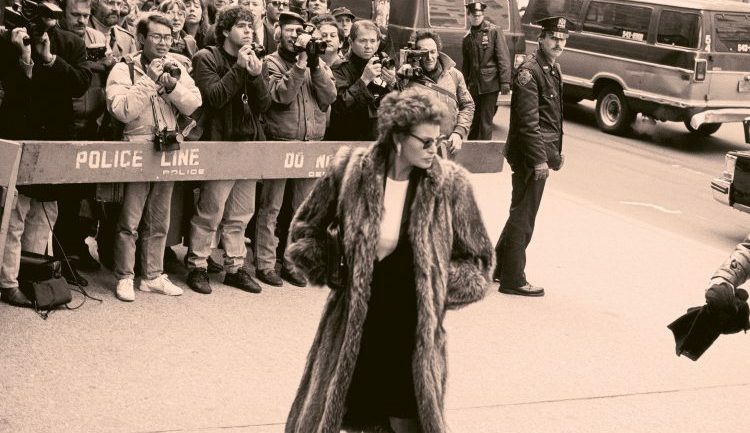 Now, a selection of photographs and remembrances from that historic day are on view in Remembering Warhol: Thirty Years Ago at Alfstad& Contempoary in Sarasota, Florida. The exhibition runs through April 1, 2017, culminating in a special event on the thirtieth anniversary of the memorial service, with von Hohenberg signing copies of his book, Andy Warhol: The Day the Factory Died (Empire Editions). The exhibition will travel to ART New York at Pier 94, New York, and be on view May 3-7, 2017. 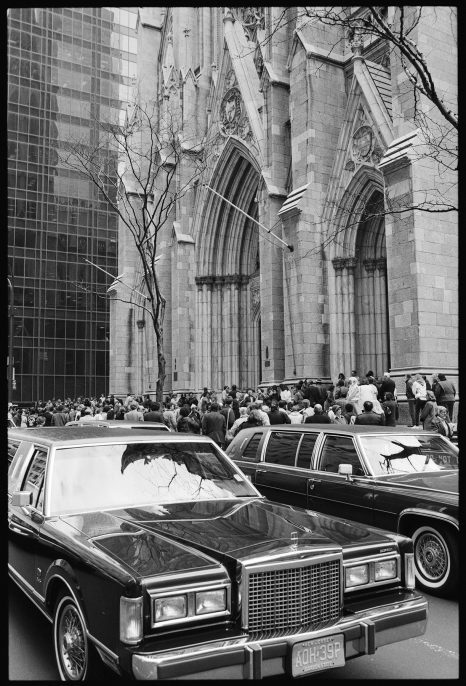 All photos: Taken April 1, 1987 at St. Patrick’s Cathedral, New York © Christophe von Hohenberg, courtesy of Alfstad& Contemporary.